Karen Reyes tries to solve the murder of her enigmatic upstairs neighbor, Anka Silverberg, a holocaust survivor, while the interconnected stories of those around her unfold. When Karen’s investigation takes us back to Anka’s life in Nazi Germany, the reader discovers how the personal, the political, the past, and the present converge. Full-color illustrations throughout. 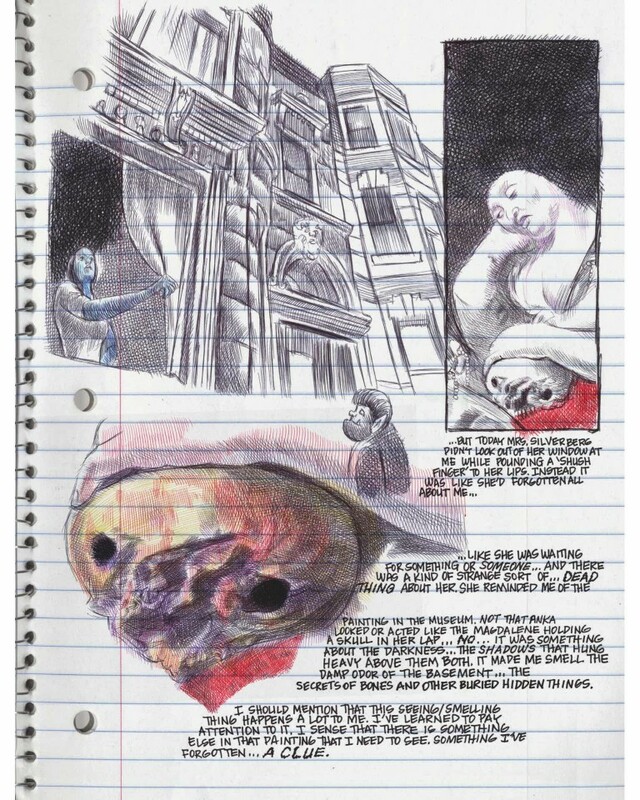 Rendered in a kaleidoscopically and breathtakingly virtuosic visual style that combines panel sequences and montage, Emil Ferris’ draftsmanship echoes the drawing of Otto Dix, George Grosz, and Robert Crumb. 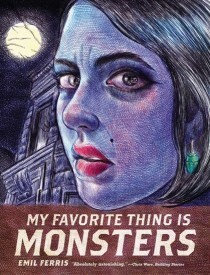 My Favorite Thing Is Monsters is a revelatory work of striking originality and will undoubtedly be greeted as the debut graphic novel of the year. 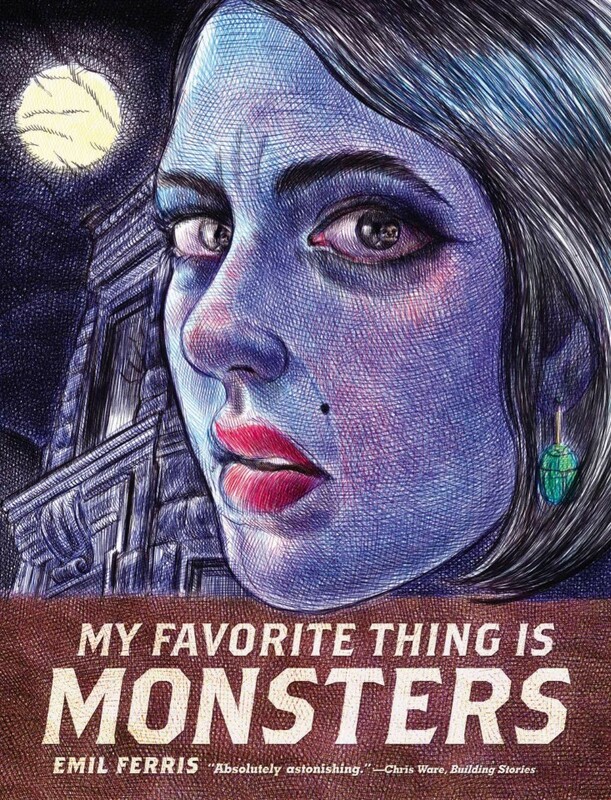 No one has ever made a comic like Emil Ferris’s assured, superhumanly ambitious two-part debut graphic novel My Favorite Thing Is Monsters ... it threatens not merely to exceed established standards of excellence, but to set new ones. Ms. Ferris’s blood-tingling debut graphic novel oozes with the secrets and hungers that shadow childhood. ... [Her] ferocious Expressionistic art, with its Crumb-like crosshatching, nails the grit-in-your-mouth feel of her home city. 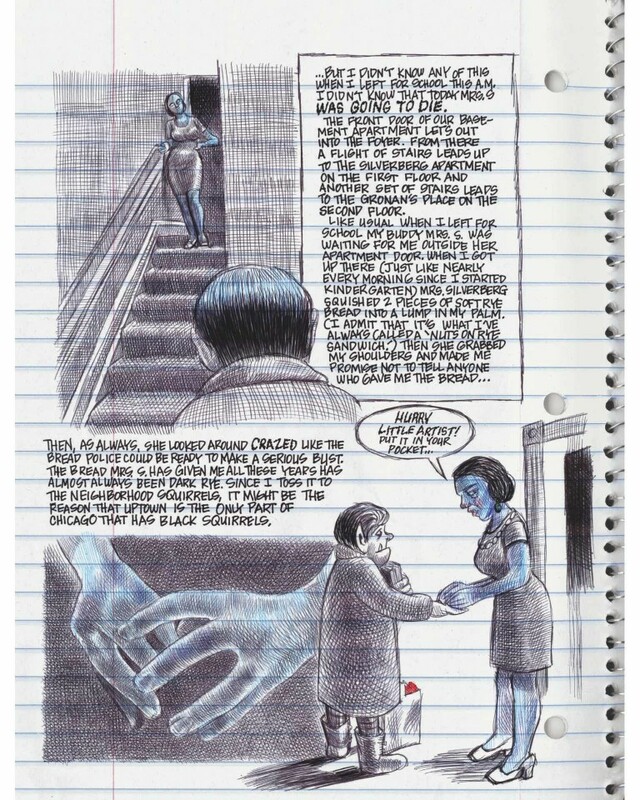 My Favorite Thing Is Monsters is not only Ferris’s first graphic novel but also her first published work. ... 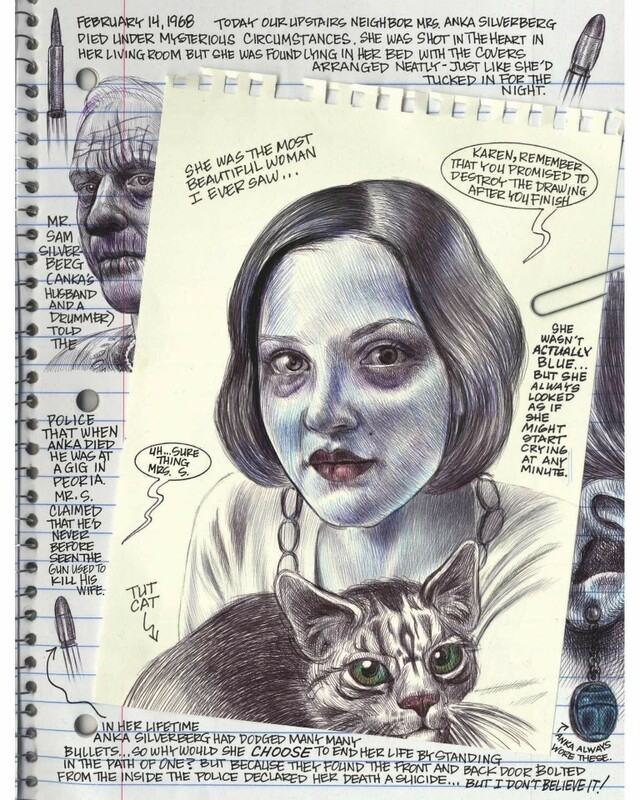 Yet her mastery of comics, her pyrotechnic drawings, and her nested narratives are already placing her among the greatest practitioners of the form.